Join us for a week in Cozumel in Mexico's premier dive destination! You'll quickly discover why this is one of the best dive destinations in the world! With amazing dive sites just a short boat ride from the resort, you will experience diving like nowhere else in the world. Come and experience some of the most amazing drift diving in the world, beautiful coral reefs and colorful fish of Mexico. 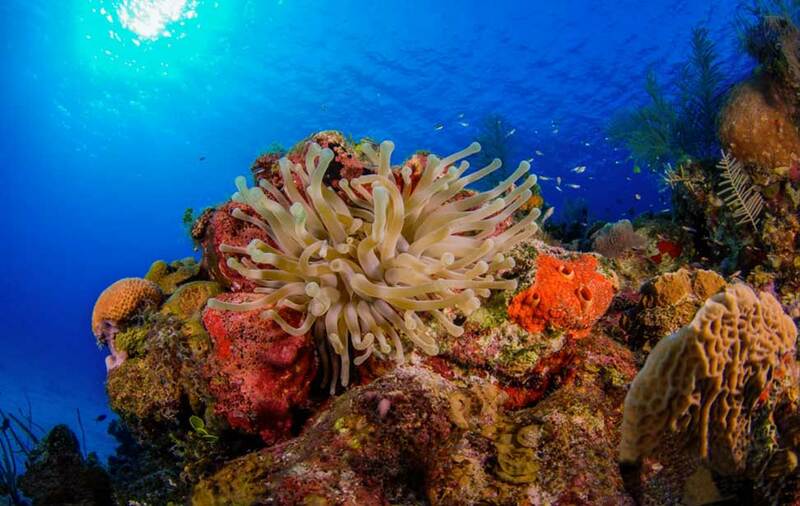 Dive sites include Paradise Reef, Tomentos Reef, Santa Rosa Wall, Palancar Reef, Colombia Reef, San Francisco Reef and the world famous Punta Sur. In the event that you need to cancel a trip that you have booked, we will do our best to fill your spot. However you will incur a cancellation fee of the NONREFUNDABLE NONTRANSFERABLE DEPOSIT, per person. Cancellations made 120 to 0 days prior to departure will be charged 100% of trip fees. Travel insurance is highly recommended (see below)!!! Full Payment is require 90 days before departure. The Travel Agencies that Aquatic Dream Scuba Center contracts with has special contract airfares with the air carriers. These specials fares have several restrictions. Once airline tickets have been issues, these tickets are NONREFUNDABLE NONTRANSFERABLE NONREROUTEABLE and NONCHANGEABLE without total loss or penalty. Travel insurance is HIGHLY RECOMMENDED!! Get a quote for your trip.